Chickpeas-1 can rinsed well with water,Pat them dry. Add them to a pan and saute for 5 mins and mash with potato masher. Add mashed chickpeas, chickpea flour, brown rice flour, nutritional yeast, paprika, garlic, onion and mix them all. Make sure zucchini is completely devoid of water. Pat with paper towels if needed. Yum! 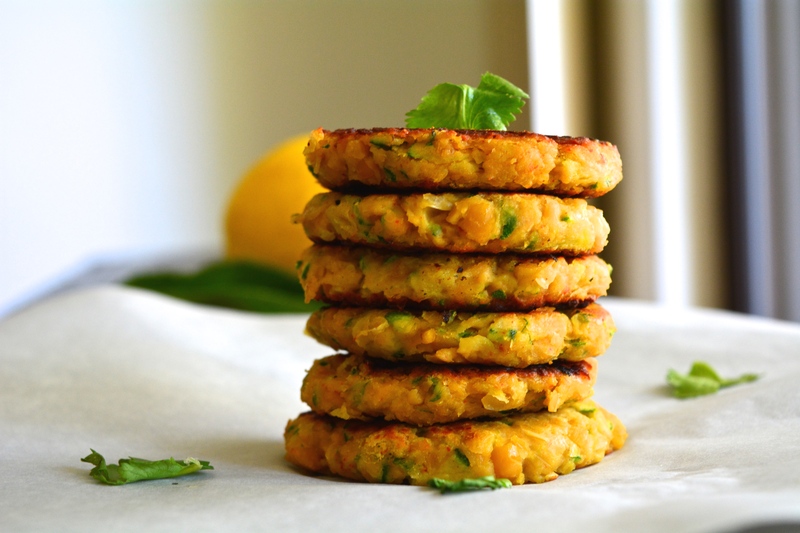 I make chickpea and zucchini fritters all the time. I’ll have to give your recipe a try! Charanya, exotic and excellent! Love it. I have a zuchhini sitting in my fridge. Will try it. Great idea. I like the use of besan too. 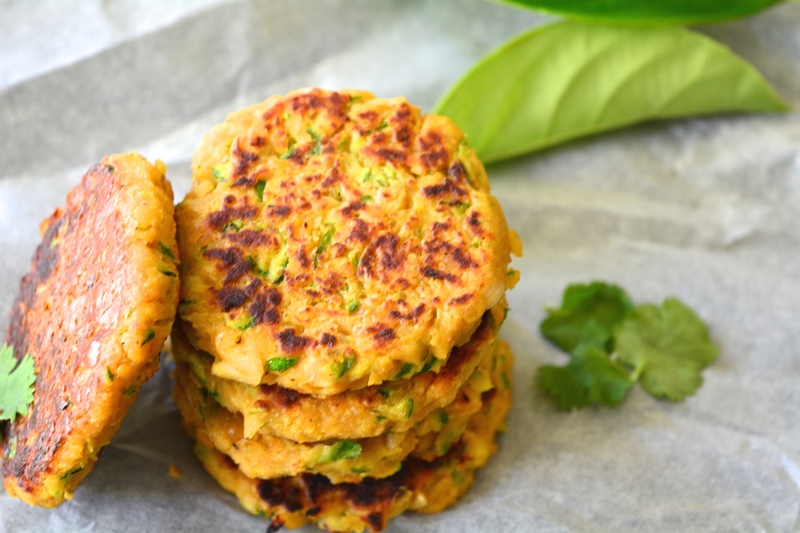 I have a similar baked version of chickpea & potato patties; the zucchini addition is lovely! Thanks Carmen 🙂 They are. Thanks Malar 🙂 You’re the best. 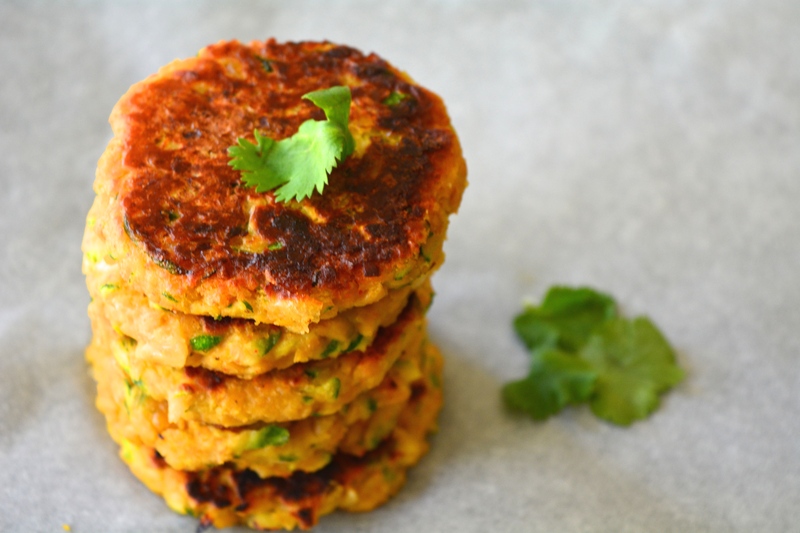 this is just awesome charnaya….thanx for the recipe….. I brought a vegan dish to the party. Do try it before leaving. 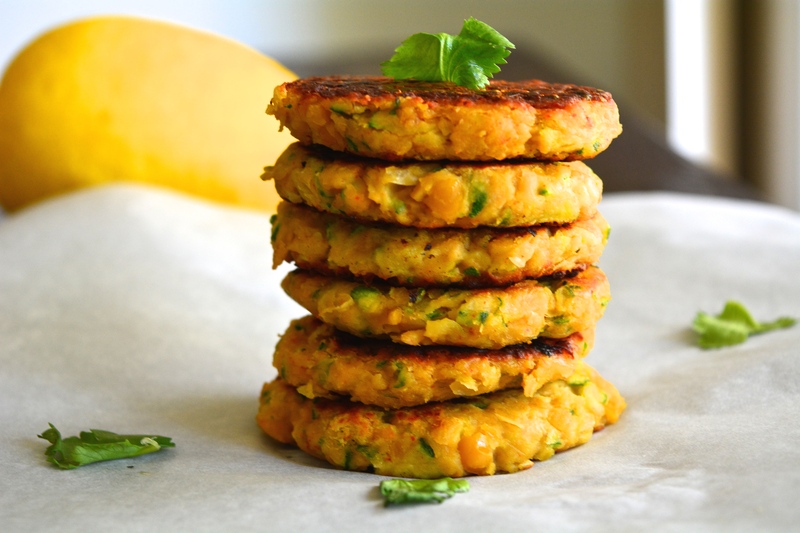 Love fritters, these sound incredible, So happy to have found your blog!! Thank you for following mine too! Hey there again. I saw your links to the site – I don’t mean to be picky but could you link them to the AFW post you are featuring your recipe in and not the guidelines? Thanks! Making these tonight again, bc they are just.so.good! These look SOOOO incredibly good!!!! I am definitely making these soon (probably this weekend!). 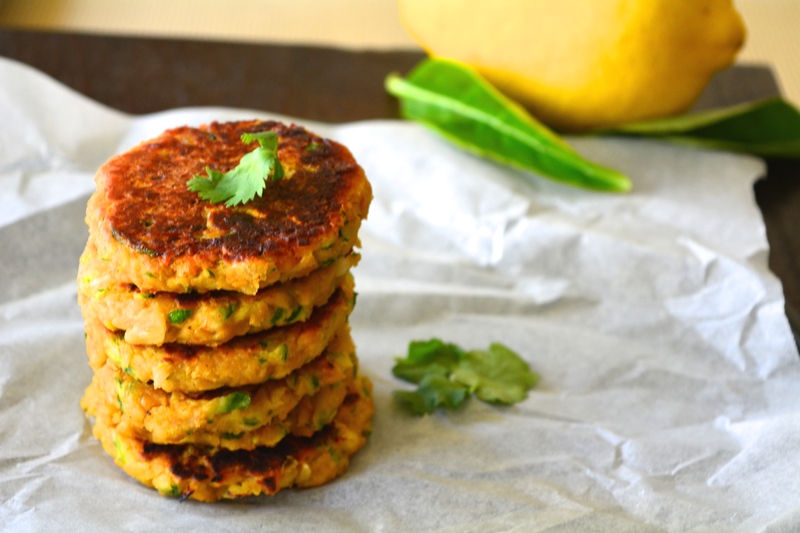 Thank you so much for sharing this over at Healthy Vegan Fridays =) Your recipe is going to be featured tomorrow as a favourite =) I’ve also pinned this to our Pinterest Board. They look wonderful! I have all of the ingredients on hand except for the brown rice flours. Can you suggest an alternative? I have all purpose, almond, coconut and chick pea flour. Thank you. Another winner! Made these last night & they turned out great. I think I am getting a hang of the “salt to taste” :-)) I would still love it if you gave cup measurements for the Zucchini shred as you get all kinds of sizes here in the US. Sorry, for being such a pain but I LOVE ur recipes & I am not a cook to begin with but someone who has started cooking thanks to your simple, easy to make, quick & delicious recipes. 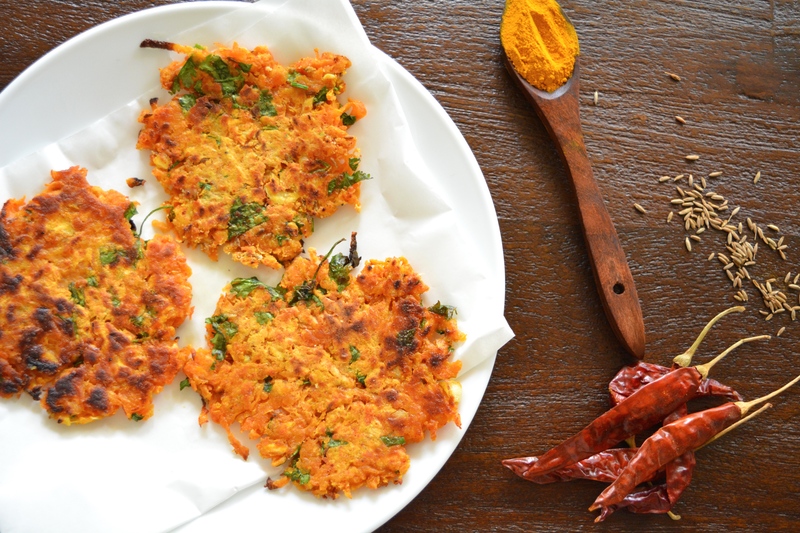 I’ve subscribed to your blog for about 3 months, Charyana & so far have loved all the recipes. Lots of zucchini and summer squash in the market right now (last month of the US summer) so can’t wait to try this one, too. Any suggestions for a substitute for yeast, for those of us with allergy issues? Thanks for sharing all the great recipes and lovely photos. The yeast in the recipe is not the dried one we use in pizzas. 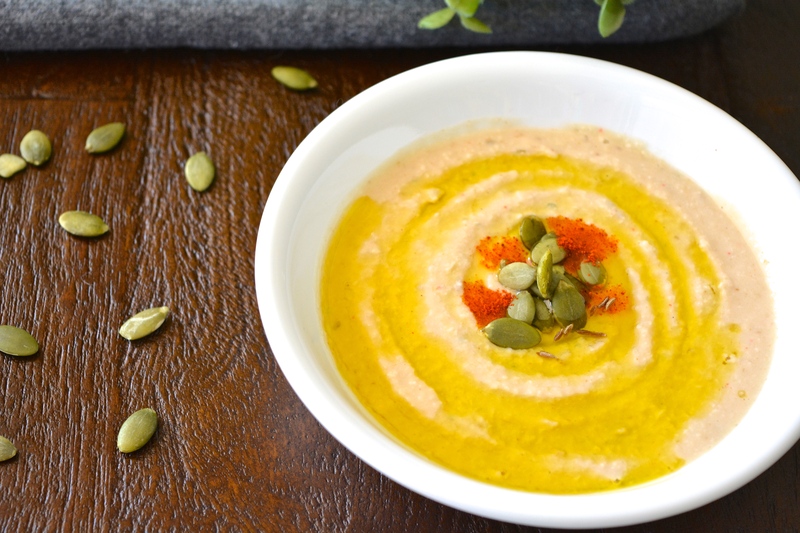 It is nutritional yeast-an ingredient that adds amazing cheesy flavor to any savoury vegan dishes you sprinkle them on. Saw your recipe on Facebook via OneGreenPlanet. Shared it on my own Facebook page. Cooked up a batch last night and they were delicious. A few thoughts on the recipe. Not clear as to the amount of chick peas to add. I used a 15 oz box. I didn’t use chili powder, instead I used cayenne pepper and paprika. I squeezed out as much water from the zucchini, then found I had to add in more liquid to the batter once I had all the ingredients mixed in. 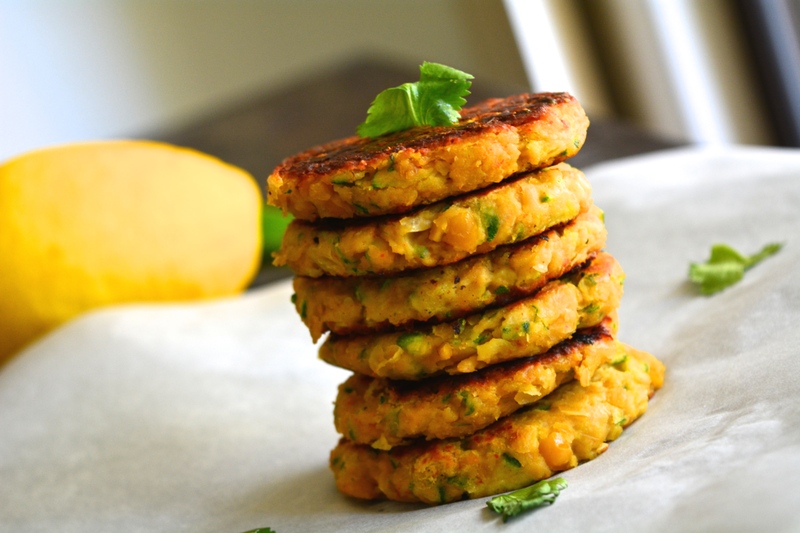 Smaller patties work better than larger patties, for the crispy outside to mushy inside ratio. Worth the effort. Hubbie really liked them too! Thank you for this recipe and all the other ones! Awww, Thanks <3 Sorry for getting back late. I have everything except the flours, I am not sensitive but am trying to avoid wheat. I have buckwheat flour… Do you think that could work? Or what would you suggest as substitutes? Just to clarify. ..I should be able to use cornstarch (not cornmeal?) AND almond meal in place of the flours in this recipe? A couple Tbsps of each? I usually do keep those two ingredients on hand, so that would work for me. (I also keep oat flour on hand, but I think that might be kind of gross in this type of recipe). I am just starting to discover which flours to keep on hand for myself that I will use enough to make it worth it. (I make my own almond meal and oat flour) Thanks for your advice.